Columbia University Press, 9780231157681, 344pp. Film Worlds unpacks the significance of the "worlds" that narrative films create, offering an innovative perspective on cinema as art. Drawing on aesthetics and the philosophy of art in both the continental and analytic traditions, as well as classical and contemporary film theory, it weaves together multiple strands of thought and analysis to provide new understandings of filmic representation, fictionality, expression, self-reflexivity, style, and the full range of cinema's affective and symbolic dimensions. Always more than "fictional worlds" and "storyworlds" on account of cinema's perceptual, cognitive, and affective nature, film worlds are theorized as immersive and transformative artistic realities. As such, they are capable of fostering novel ways of seeing, feeling, and understanding experience. 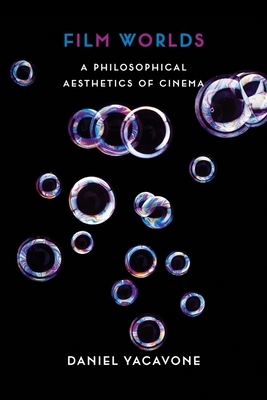 Engaging with the writings of Jean Mitry, Pier Paolo Pasolini, Christian Metz, David Bordwell, Gilles Deleuze, and Hans-Georg Gadamer, among other thinkers, Film Worlds extends Nelson Goodman's analytic account of symbolic and artistic "worldmaking" to cinema, expands on French philosopher Mikel Dufrenne's phenomenology of aesthetic experience in relation to films and their worlds, and addresses the hermeneutic dimensions of cinematic art. It emphasizes what both celluloid and digital filmmaking and viewing share with the creation and experience of all art, while at the same time recognizing what is unique to the moving image in aesthetic terms. The resulting framework reconciles central aspects of realist and formalist/neo-formalist positions in film theory while also moving beyond them and seeks to open new avenues of exploration in film studies and the philosophy of film. Daniel Yacavone is lecturer in film studies at the University of Edinburgh, where he has been acting director of Film Studies within the School of Literatures, Languages, and Cultures and has held a British Academy Postdoctoral Fellowship.